Code Club have over 1300 clubs in the UK now. That’s 1300 people kindly giving up their time to teach kids to code. This is a pretty incredible thing for them to do and it warms our hearts just thinking about how awesome they all are. Thanks to Sonny Malhotra for making this awesome video! On the flip side of this are the 500+ schools who want to have a Code Club but haven’t yet found a volunteer. Because of this we’ve put volunteer recruitment to the very top of our agenda so that no children miss out. So we’ve set about tackling these issues. Firstly, we’re telling employers all over the country about Code Club and asking them to give their developers time out of their day to run a club. This seems to be working and even huge companies like Google and Morgan Stanley are into it! Secondly, we’re working on ways of letting volunteers communicate through our website. This will be great for busy people because they’ll be able to talk to others in their area and get a team together to run a club at their local venue. This will be less time intensive for them – think of it as a club time-share! We are also going to be preparing some online materials which will help people learn about working with kids and how to use Scratch. Whilst you are waiting for all of this to take shape we’d encourage you to head along to one of our upcoming meet-ups (see list below). These are a way for us to say thank you to our current volunteers and meet new ones. If you’re on the fence about volunteering then it’s a great chance for you to meet some people already doing it and pick their brains! If we’re not making it to you in 2013 then look out in 2014 as, chances are, we’ll be with you then. 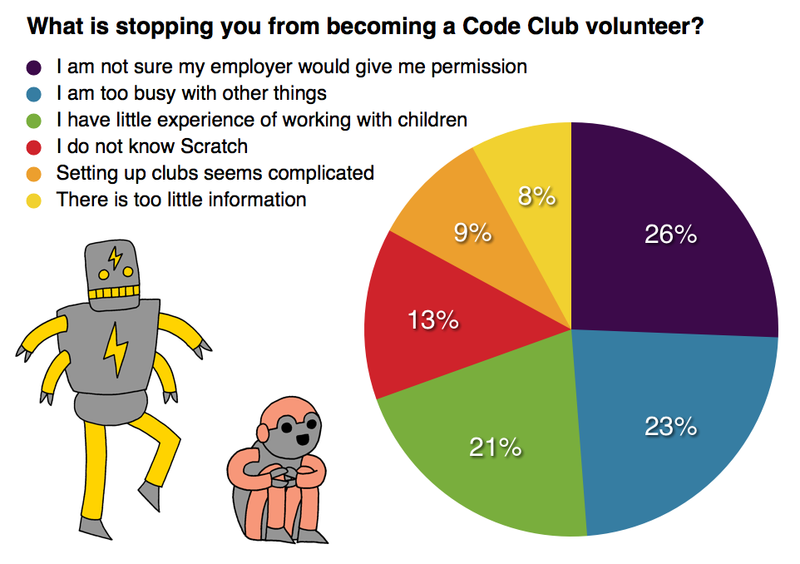 Lots of schools and other venues want to have a Code Club but can’t find a volunteer. Behind the scenes Team Code Club are working very hard to recruit new volunteers and one of the ways we’re going about this is by speaking to businesses and getting them to give their employees time out of work to volunteer. Two companies who are working hard on this at the moment are Morgan Stanley and dotMailer. We asked them why they’re getting behind Code Club and how it impacts on their staff and their local community. I am an MD in Tech and Data at Morgan Stanley, a US global investment bank employing over 14,000 technologists worldwide. Our graduate intake is key to maintaining innovation and fresh ideas in the Firm but in the UK we are being challenged by declining numbers taking computer science at university and in particular the number of girls taking it up. We are very supportive of Code Club’s mission to show young children how fun and exciting programming can be and have a number of staff now in the process of setting up Code Clubs. We are also partnering with CAS to help develop material and mentor teachers in preparing for the new Computing Curriculum. We have an internal group of around sixty staff who are now working on various initiatives related to Code Club and the new curriculum. We believe that the new curriculum and the excitement generated about the subject by groups such as Code Club should provide a real boost to the subject in the UK and eventually to the industry. In addition, our staff who are working on these initiatives are finding it a very rewarding experience. 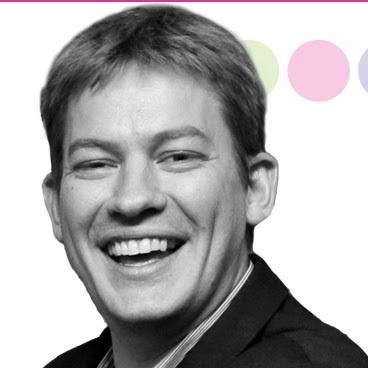 I am CTO and founder of dotMailer, an Email Marketing company whose platform is used by 1000’s of companies to market to their customers and prospects. I support Code Club because I was lucky enough to have a father who was into computers when I was 8 who taught me to code in basic and once taught me binary when I was in the bath. All children of that age should have access to technology and guidance to learn to program because it’s just too an important skill not to. We have around 150 staff and we have said to all of them that they can have the time off paid to run a Code Club on a weekday afternoon. So far we have had about 5 running clubs with many more considering it. We also support the Croydon Tech city movement whose manifesto is to get all 150 Croydon primary schools running code clubs within the next few years. We also help with printing out of work books etc for Croydon Code Club volunteers. We are encouraging this activity because of the feel good factor. We think it’s very positive for staff to feel that they are contributing positively to society and it’s great to be able to provide that platform for them to be able to do it. Longer term we hope to benefit from more qualified technical staff coming into the business. However that is very long term! It is great to see innovations like Code Club and the Raspberry Pi coming out of the UK.